We are the service provider of Box Printing. great perfume are known for instantly boosting our confidence with just one short Spitz. 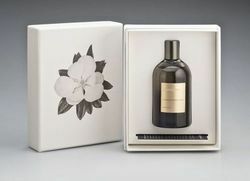 But great Perfume Packaging makes the perfume itself more confident to be displayed over the shelf. 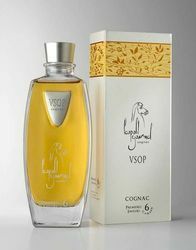 it is the packaging first which influences the buyer to reach out to the perfume and check the fragrance. 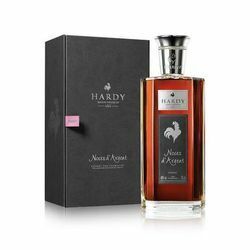 Premium lovers are very picky when it comes to buy a premium product and that is why the product packaging should be able to knock the product from lot of competition. 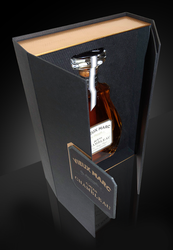 any sort of packaging design could be converted in to a premium package let be classic or sophisticated allure. Perfume is something with which an individual wishes to live through out the day. the undertones of perfume fragrance packaging must blend with the perfume packaging. The premium buyers introspects every aspect of the premium product they are looking forward to buy. the packaging should be as unique as the smell of the perfume. It should be type of packaging where the buyer stops and picks up product, saying. . It's really very unique. to buy a high price tagged intimidating product the buyer always needs a good packaged product that makes them feel that the product is worth it. the buyer can't keep hands off the well product with good packaging when it is really overpowering his/her senses. a well designed, premium printed and exclusively created packaging gives a strong personality to the product. The packaging should stay true the quality of the product. 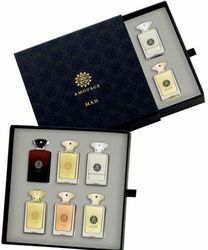 choosing a right perfume packaging is very important for your brand to connect to the people. Another characteristics of a good packaging is that it is made of three notes; quality, durability and intimacy. we have complete in-house setup to make all sorts premium perfume packages in all shapes and sizes using various media, special inks and special effects. 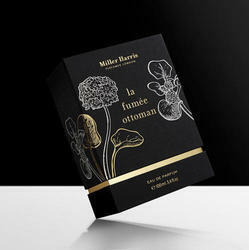 we are the only company in the region to print special effects on perfume boxes with a direct computer to machine digital system. our scodix ultra pro machine prints gold / soliver / uv and end number of texture effects directly on the perfume product packaging. the best part of the premium perfume packaging made by us is that there is no impression of the gold / silver foiling process on the backside of packaging cartons. another great feature of our machine is that the gold / silver / uv and texture effects can be given a raised effect. Which is not possible in conventional hot foiling system. it's unique technology using opa marks prints the special effects with pinpoint accuracy. This system is not only flawless but also negates any sort of wastage's. Excellent for short run quantities. we have in-house mock-up team that converts your product packaging ideas into a reality. our hpindigo 5600 digital offset press helps us give you sample quality that matches the final product which we are going to deliver. our laser machines helps us quickly cut and shape perfume boxes without the need of any dies or molds. All these digital processes helps us give you perfect samples in the shortest time. you can also add some security features to our product packaging to prevent duplication of the product. you are invited for a walk through at our state of the art facility at mahape new mumbai and we will be glad to share with you our vision for quality and service. The packaging should be as unique as the smell of the perfume. It should be type of packaging where the buyer stops and picks up product, saying.. It's really very unique. To buy a high price tagged intimidating product the buyer always needs a good packaged product that makes them feel that the product is worth it. The buyer can't keep hands off the well product with good packaging when it is really overpowering his/her senses. A well designed, premium printed and exclusively created packaging gives a strong personality to the product. The packaging should stay true the quality of the product. We have complete in-house setup to make all sorts premium perfume packages in all shapes and sizes using various media, special inks and special effects. We are the only company in the region to print special effects on perfume boxes with a direct computer to machine digital system. Our Scodix Ultra Pro Machine prints gold / soliver / uv and end number of texture effects directly on the perfume product packaging. The best part of the premium perfume packaging made by us is that there is no impression of the gold / silver foiling process on the backside of packaging cartons. Another great feature of our machine is that the gold / silver / uv and texture effects can be given a raised effect. Which is not possible in conventional hot foiling system. It's unique technology using OPA marks prints the special effects with pinpoint accuracy. This system is not only flawless but also negates any sort of wastage's. Excellent for short run quantities. We have in-house mock-up team that converts your product packaging ideas into a reality. Our HP indigo 5600 digital offset press helps us give you sample quality that matches the final product which we are going to deliver. Our laser machines helps us quickly cut and shape perfume boxes without the need of any dies or molds. All these digital processes helps us give you perfect samples in the shortest time. You can also add some security features to our product packaging to prevent duplication of the product. You are invited for a walk through at our state of the art facility at Mahape New Mumbai and we will be glad to share with you our vision for quality and service.